I am a Christmas tree snob. There I said it! Decorating the Christmas tree is more of an art form in our house and it always has been. So when the lovely people at Kaleidoscope asked me to choose and create my dream Christmas tree I couldn’t wait to get started. I am that parent that lets the kids help decorate the tree and then re-do it all when they go to bed. Although I have to say that Joe is pretty good at all things creative. There is nothing better than an afternoon decorating the tree with a Christmas movie on the TV, a mug of hot chocolate with marshmallows for Joe and a mulled wine for me. Whilst Chris takes control of roast dinner. I have so many lovely memories of building and decorating the tree as a child with my parents and then with my own little family. And ok, Jack may be 17 and not want to get involved anymore, but he does hang around as we are decorating, even if he is too cool to put a bauble on the tree. We choose to have an artificial tree as the log burner gets so hot and real trees never last in our home with the heat. I love the shape of artificial trees and the fact that they are so low maintenance and cost-effective. Also we are not worrying about making it to Christmas without dropping all the needles. One of our friends had to get a new tree two days before Christmas last year as her tree was going bald, I kid you not! Can you imagine the mess that created? 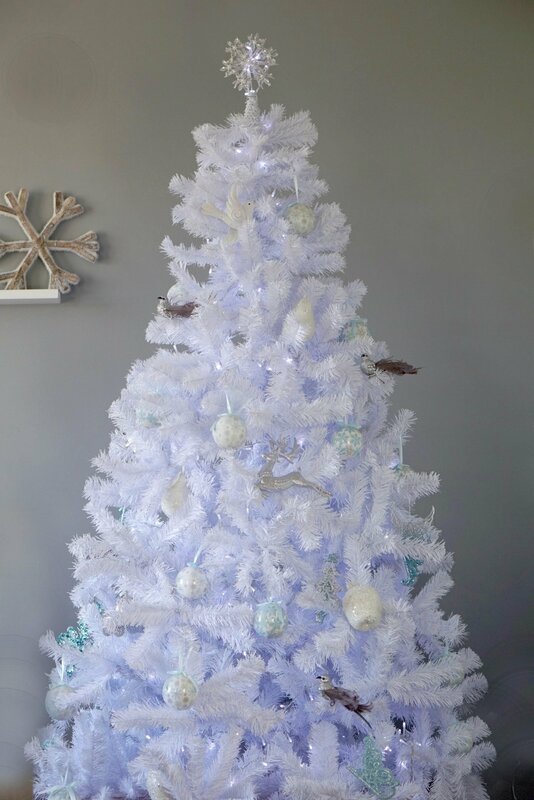 This year I have chosen a white tree, every year I look at them, longing to buy one, but then back out. Why? I have no idea, probably fear of regretting my decision. But with the boys growing up and Christmas changing as it does with older children I thought now is the time to try new things, make new traditions and adapt to Christmas with an older family. Ok it wont ever be the same again. 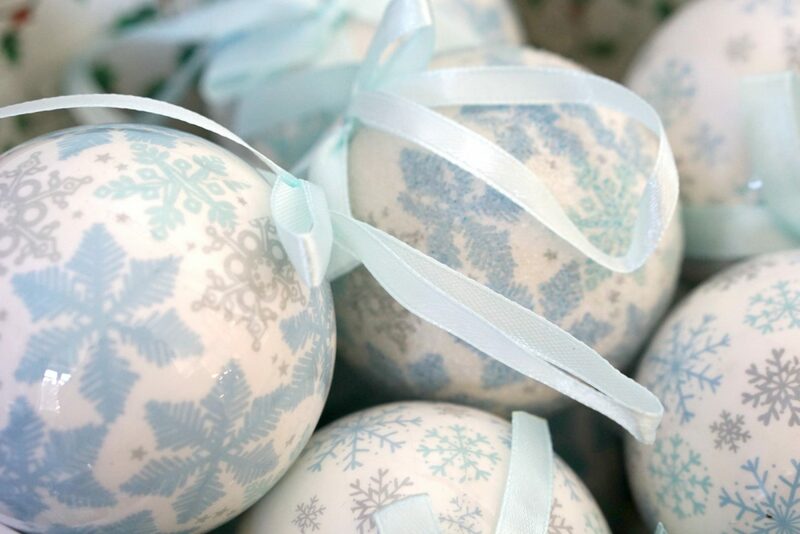 However that does not mean Christmas can’t still be magical, it will just be a different kind of magic. 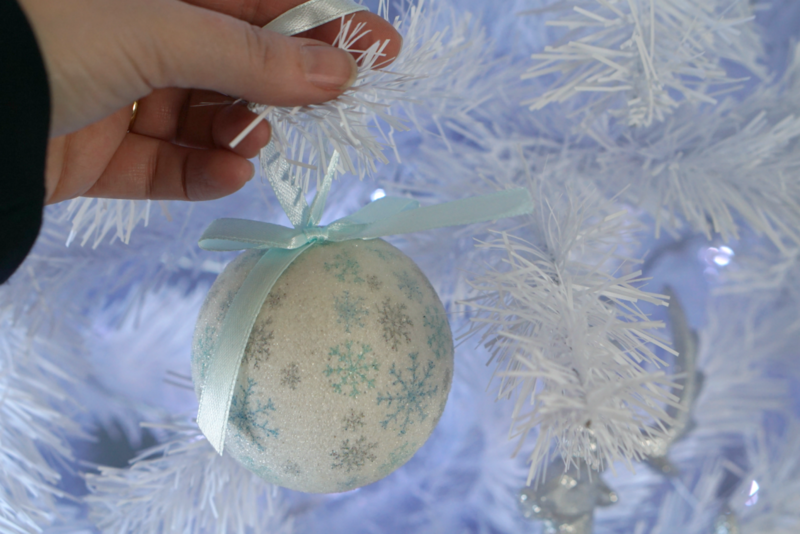 And a white tree with sparkling white and blue decorations is perfect for new beginnings and this year I will be able to wrap my presents’ and leave them under the tree. No more worrying about hiding and storing parcels in the Christie household. 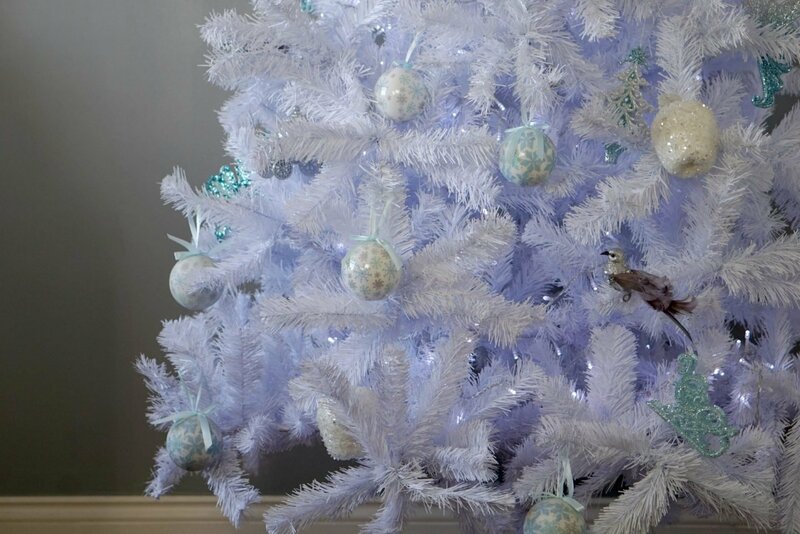 I wanted to share a few tips on getting your artificial tree to look perfectly balanced and fluffy. If you build an artificial tree correctly it should look full without gaps. Because lets face it we are in November now! 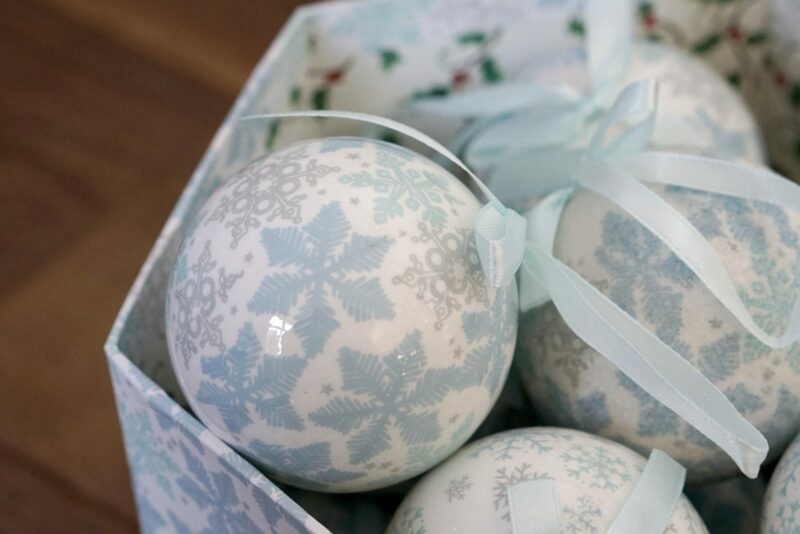 It is perfectly acceptable to start planning for all things Christmas. When building the tree, build it section by section. Don’t be tempted to put it all together and then try to fluff the branches out. Start from the bottom and spread the branches in different directions to create a fuller look and work your way up the tree. Adding the next section when you are happy with the fullness of the first. For a denser fluffier tree spread the end branches upwards and sideward. For more width take the end branches straight out. Push the branches down low at the bottom so the tree looks closer to the floor and hides the stand. Alternatively put some fake presents underneath. If the tree is in a corner then pull the back branches forward to create more volume round the sides. 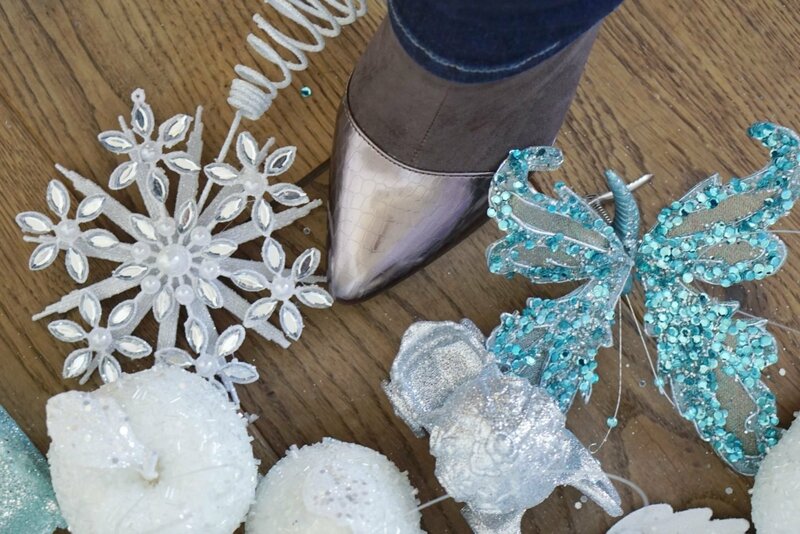 Stand back and check for thin patches and get the shape just how you want it before you start to decorate. Ensure the light flex matches the colour of your tree; this way the flex will blend. And test the lights before you put them on the tree. Have you ever got the grand light up and the lights don’t work, its soooo annoying? Start wrapping the lights from the bottom and keep them close to the centre ensuring you spread them evenly and have about 8 lights spare on the end to illuminate the star. If the tree is against a wall or in a corner don’t light the very back. 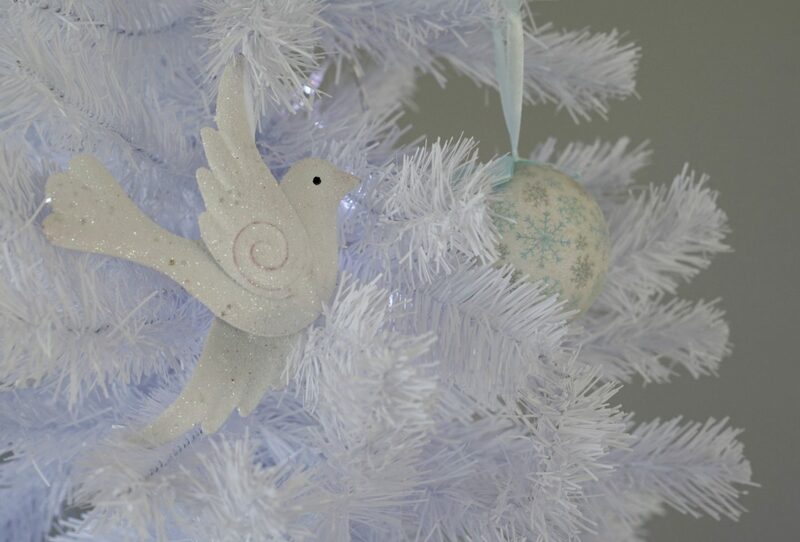 Stand back to check they are balanced and there are no dark patches before you decorate. Keep decorations to a theme and choose a colour that either compliments or contrasts your home decor. And have this theme in mind when shopping for new decorations to prevent a mismatched look. Don’t be too sentimental; if something looks shabby don’t use it? I still have a Santa from when I was a child, every year I look at it and smile; it brings back so many lovely childhood memories. However it never makes the tree even though I can’t bear to throw it away. And if you are hanging chocolates on the tree keep them to the top to prevent pets stealing them. Although I did once find Joe at the top of the tree as a toddler, hanging on for dear life. He had launched himself to the top of the tree from the sofa in pursuit of a chocolate. And there are my tips I hope they are useful? And here’s wishing for a very merry Christmas full of beautifully plump and fluffy Christmas trees. 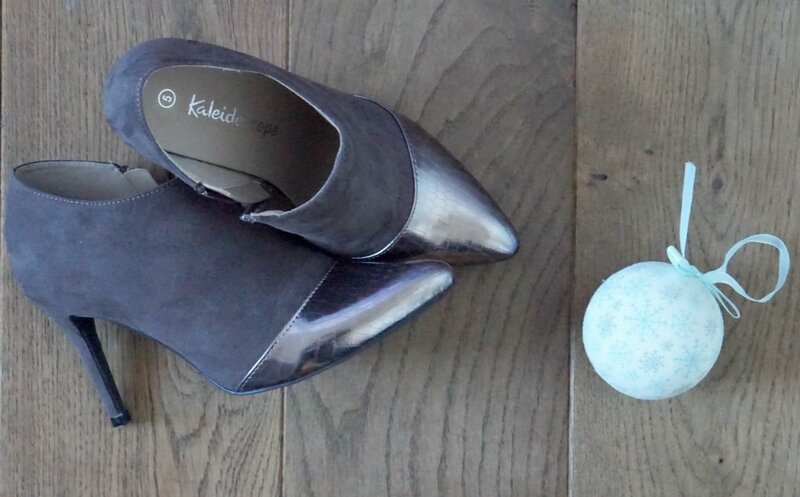 Check out more top tips and vlog over on the Kaleidoscope blog. Next Post My Weekly Round Up, Little Loves And Teenagers!